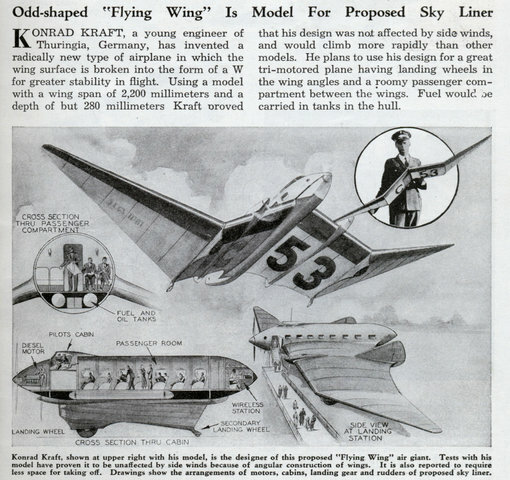 Revolution in the design of aircraft is expected from the “all-wing” plane illustrated here, a new German experimental model. 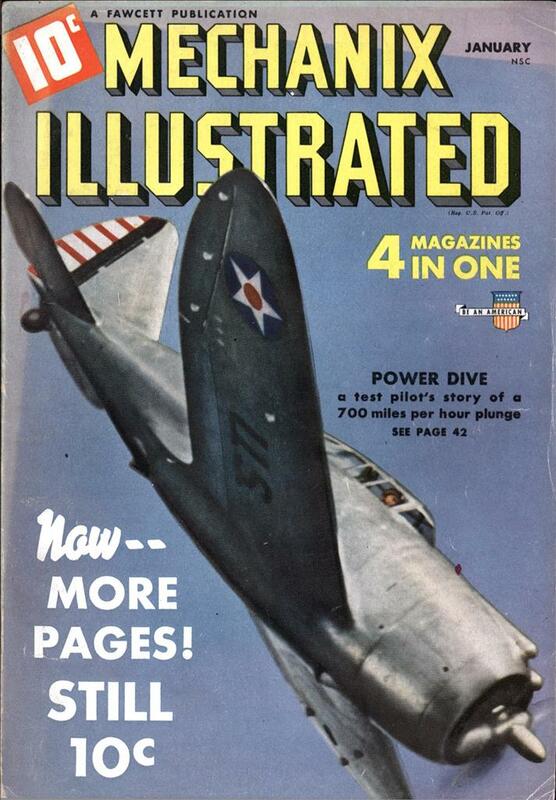 As may he seen, it has a rudder at the end of each wing; while elevators as well as ailerons are placed on either side of the single pusher propeller. The span of the wings (which are set backward at a considerable angle for better balance) is 12 meters (39 feet 4 in. ); the plane carries a load of 1150 pounds, at a speed of 88 miles an hour. 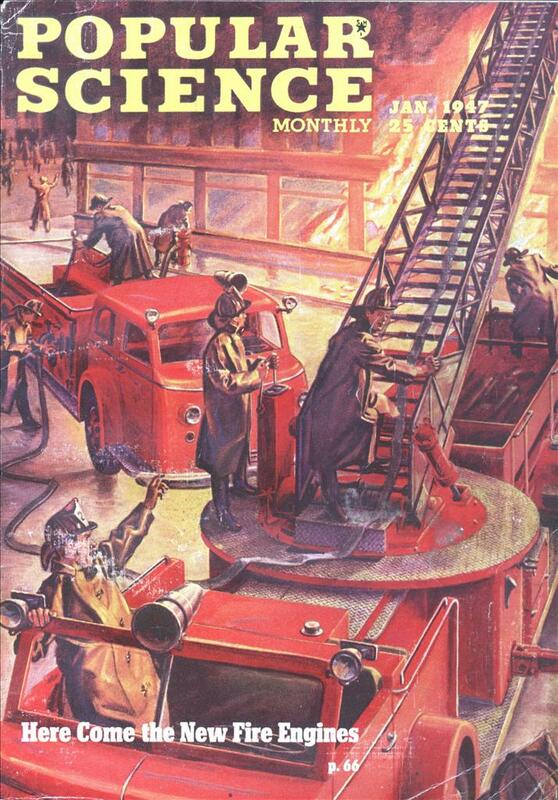 It is designed for special economy in construction and maintenance, having a 28-horsepower Bristol-Cherub motor. 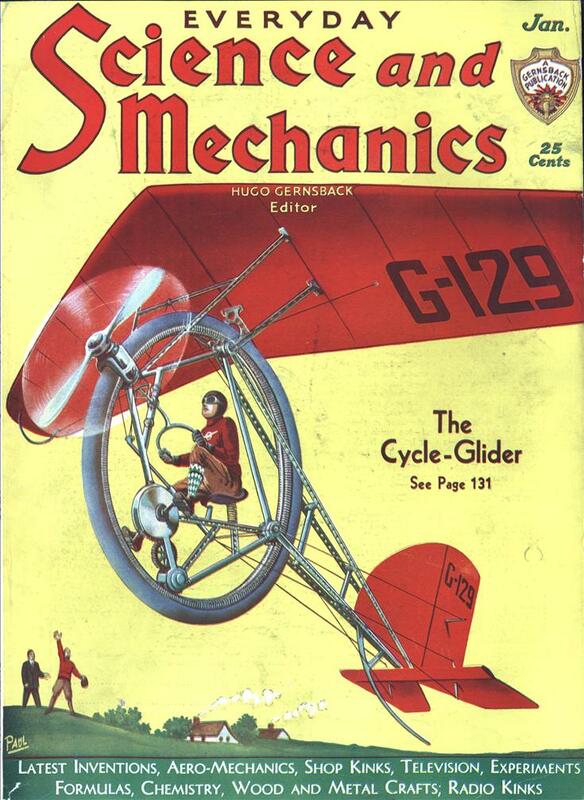 Its designer, Alexander Lippiseh, is well known in the field of gliders, as well as motored planes. 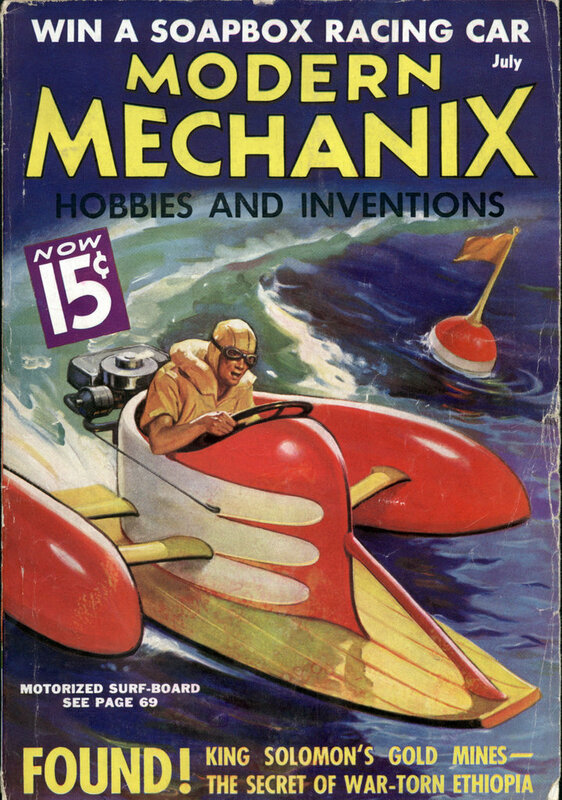 Yes, they actually turned this model into the cover. 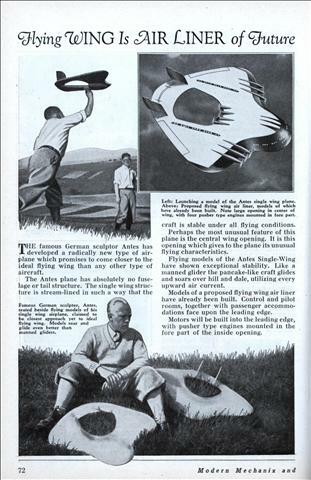 THE famous German sculptor Antes has developed a radically new type of airplane which promises to come closer to the ideal flying wing than any other type of aircraft. The Antes plane has absolutely no fuselage or tail structure. 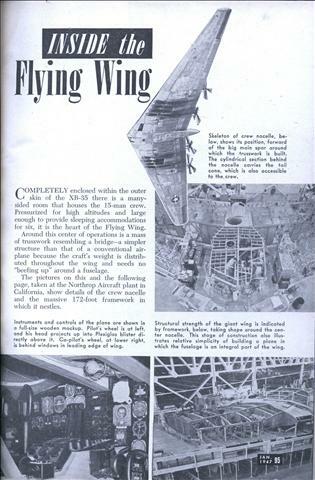 The single wing structure is stream-lined in such a way that the craft is stable under all flying conditions. 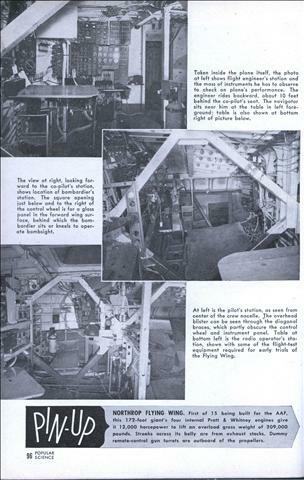 COMPLETELY enclosed within the outer skin of the XB-35 there is a many-sided room that houses the 15-man crew. Pressurized for high altitudes and large enough to provide sleeping accommodations for six, it is the heart of the Flying Wing. Around this center of operations is a mass of trusswork resembling a bridge-a simpler structure than that of a conventional airplane because the craft’s weight is distributed throughout the wing and needs no “beefing up” around a fuselage. 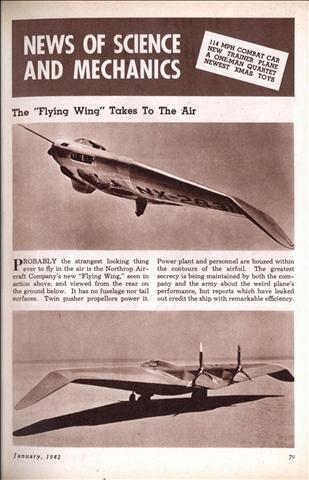 The pictures on this and the following page, taken at the Northrop Aircraft plant in California, show details of the crew nacelle and the massive 172-foot framework in which it nestles. KONRAD KRAFT, a young engineer of Thuringia, Germany, has invented a radically new type of airplane in which the wing surface is broken into the form of a W for greater stability in flight. 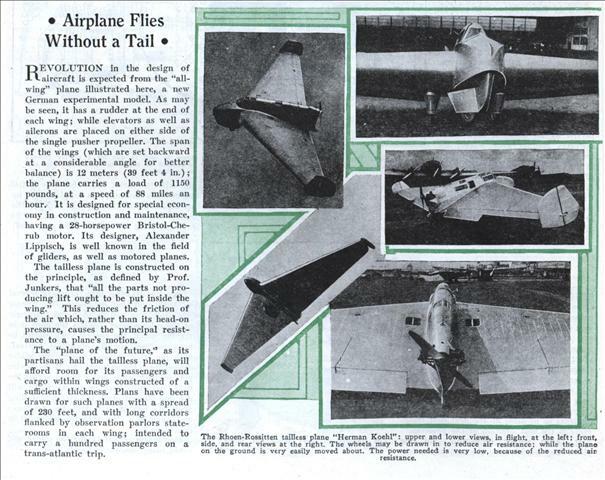 Using a model with a wing span of 2,200 millimeters and a depth of but 280 millimeters Kraft proved that his design was not affected by side winds, and would climb more rapidly than other models. 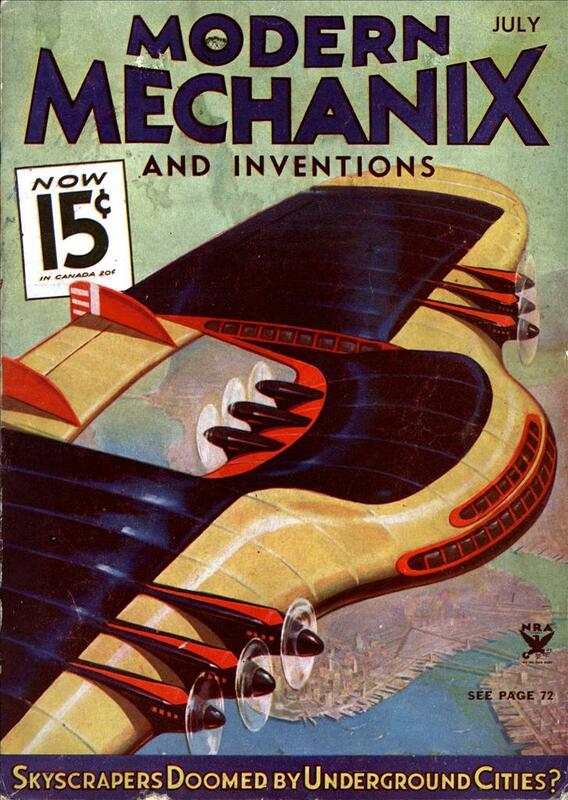 He plans to use his design for a great tri-motored plane having landing wheels in the wing angles and a roomy passenger compartment between the wings. Fuel would be carried in tanks in the hull.